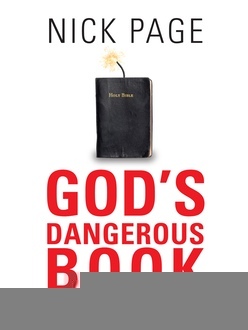 God’s Dangerous Book is a history of the Bible. It’s a book about how the Bible was put together, where it came from and who decided what went in there in the first place. More, its a book about how the Bible has always been a dangerous, incendiary text. The Bible is more than just a piece of literature. It’s a challenge, an inspiration, a wild, unsettling mandate for revolutionary behaviour. And that is exactly how people have used it over the years – for good and ill. The story of the Bible is, like the stories within the Bible, about people finding freedom. ‘The truth will make you free’, said Jesus (John 8.32). And that is exactly what dictators and bigots and religious demagogues have always feared. Download a free sample chapter here, which looks at the truth behind the King James Version. To download it, just enter your name and email below and you’ll be sent a link to the file.